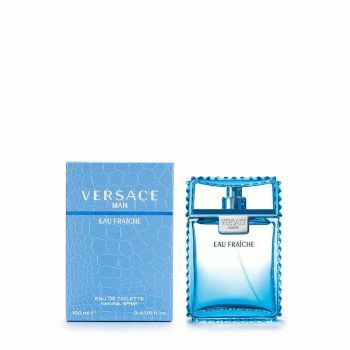 Versace Man Eau Fraiche is an aromatic, tonic, woody fragrance designed for the strong and self-confident man who is fond of luxury. Decidedly more composed and introspective than Versace Man, it is elegant understatement with an alluring charm; no longer an 'in-your-face' sensuality but rather a willingly contained one. It contains the most classic ingredients of men's scents but which are refreshed with some unusual notes to give life to a surprisingly fresh fragrance. Top notes of white lemon, rose wood and carambola give way to a heart of tarragon, clary sage and cedar leaves. The base notes of sycamore wood, amber and musk complete the fragrance by offering mysterious and skin deep sensations.